My boys have never been big on sandwiches for lunch. 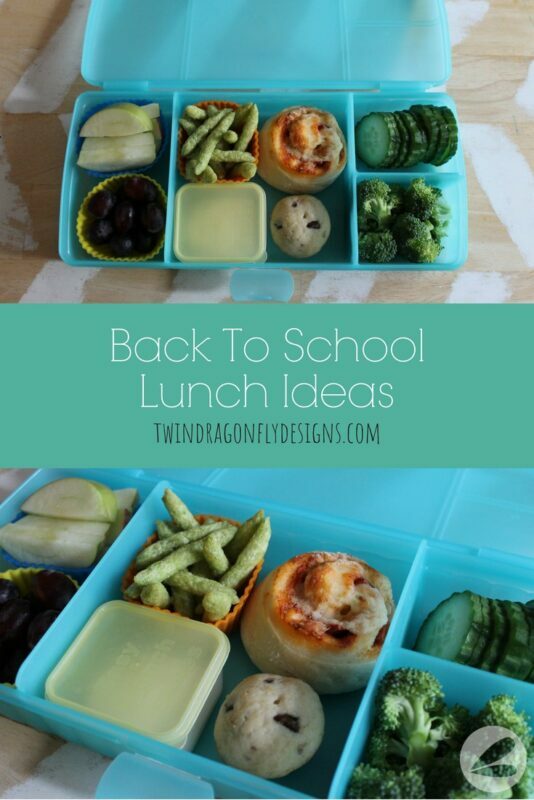 They prefer to snack throughout the day and that is where these containers from Easy Lunch Boxes (aff link) come in handy! I love them for helping to store and portion out the boys lunches. We pack one of these, a couple of pre packaged snacks (like fish crackers and granola bars) and a water bottle in their lunch kit each day. Now that the boys are going into grade five (yikes!) they do most of the lunch packing on their own, I simply double check that they have everything packed before they head off to school. 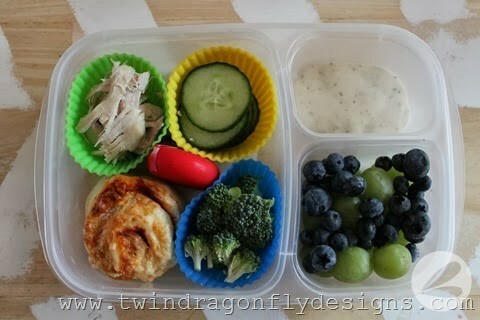 Check out my Twenty Sandwich Free Lunch Ideas post for a ton of school lunch inspiration! 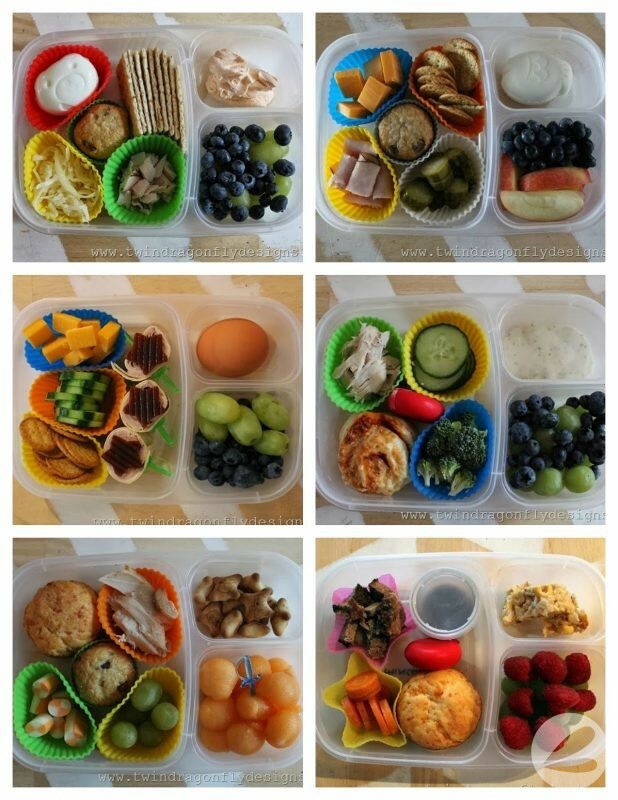 The kids have been packing their own lunches for the last year or so now. What I do at home is simply provide lunch ingredients that I know that they’ll eat. I organize things in the dry goods cupboard and fridge like in this School Lunch Organization post. Then all that the boys need to do is load up their lunch kits with supplies and they are good to go. Sometimes they get creative with their lunches like I used to when they were in Kindergarten and Grade One. They use our sandwich cutters to cut fun shapes out of bread or add Star Wars toothpicks, funny faces and edible candy eyes to their meals. 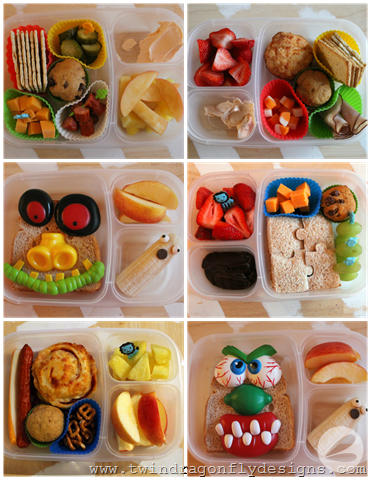 Having a few fun bento accessories helps to make lunch building entertaining and create “buy in” with the kiddos. 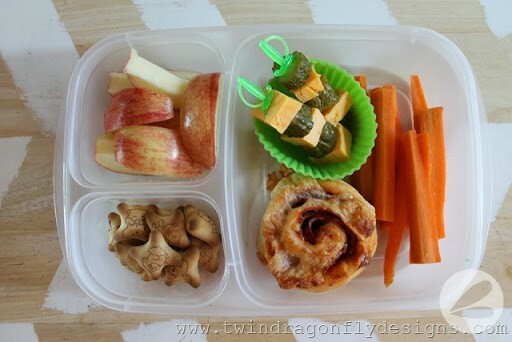 Do you have any school lunch ideas or tips? Please share!